Hey Cars fans! Once again, I'm getting to this post pretty late over here, so I'm going to keep this review very short. Here we have another 1:55 scale Mattel Cars 3 diecast, this time one of the "Deluxe" sized characters...everyone's favorite tractor trailer/hauler, Mack! 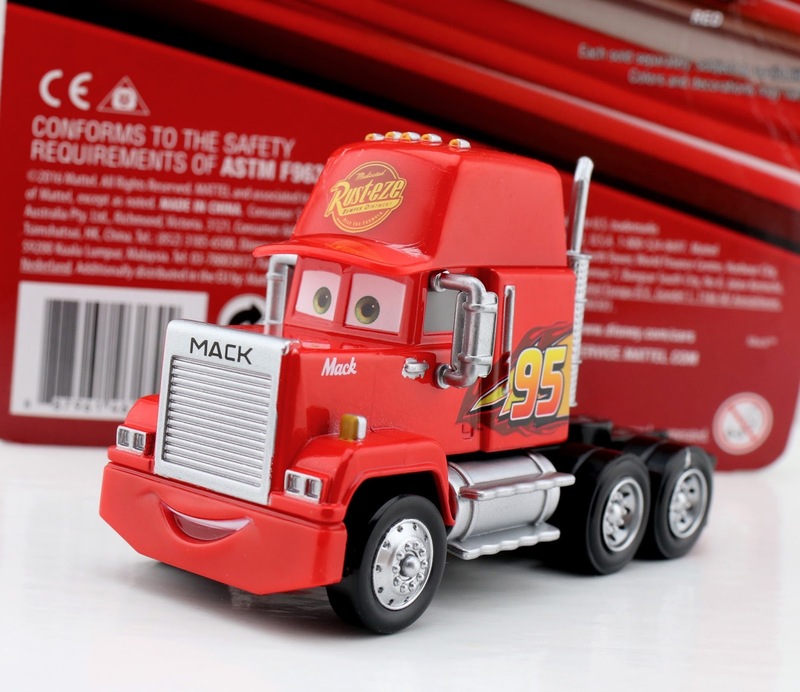 This version of Mack was released back on the official Cars 3 merch launch day of May 1st (and is still keeping those pegs warm almost four months later). Yah this one doesn't seem to be generally selling too good, at least where I'm at. I still see bunches of this Mack stocked at all my local stores every time I go. Of course I understand that it's not the most exciting diecast (speaking for myself—only because I have so many Macks), but as a dedicated Mattel Cars collector, this new design was essential to get and document here. There's nothing too different here as far as design goes, especially since this seems to be the exact same mold that was used for Mattel's original Mack diecast. 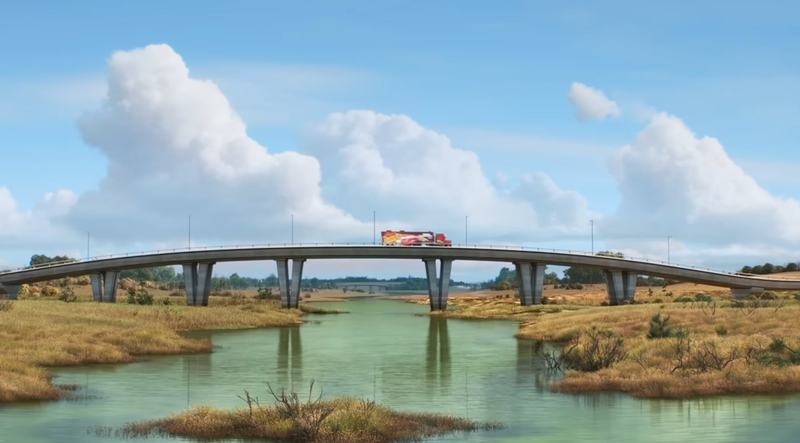 Really the only thing that has been changed between Cars and Cars 3, from what I can tell, is McQueen's 95 logo on his side and Mack's "hat" color (which had a white front in the first film). Anything else new is too subtle for me to notice. 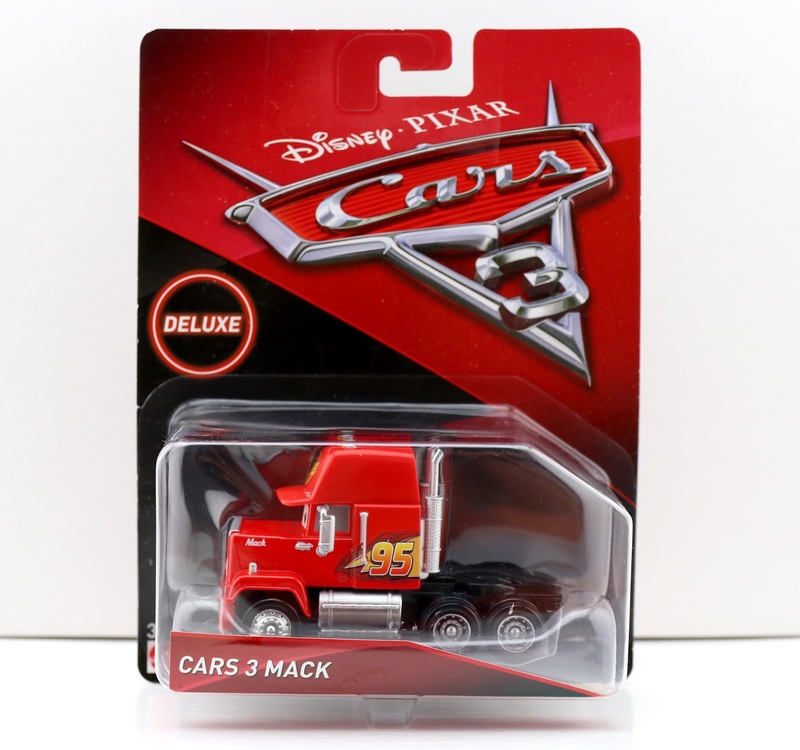 You can find this Deluxe single carded Mack at any of your local Walmarts, Targets or Toys R Us stores. I guarantee you he'll be there if you go check anytime soon! 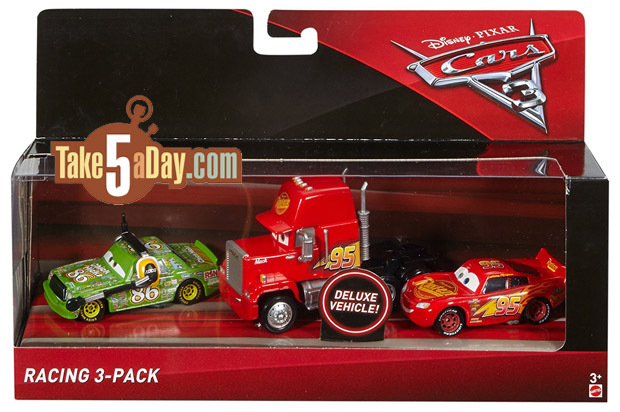 He's also available in a "Racing 3-pack" featuring Cars 3 Lightning McQueen and Chick Hicks with headset (which I've personally only ever seen at Kohls. It might be an exclusive there). And as always, if you'd rather just snag this for your collection online, you can visit the direct Amazon links below to purchase. Happy hunting!